After the Civil War, Catoosa's residents took up the task of rebuilding shattered lives and the county's stalled economy. County histories shed little light on the day-to-day activities of residents following the war, but it is safe to say that families went back to tilling on the county's 325 farms; merchants re-opened their shops, and the trains came and went through Ringgold. 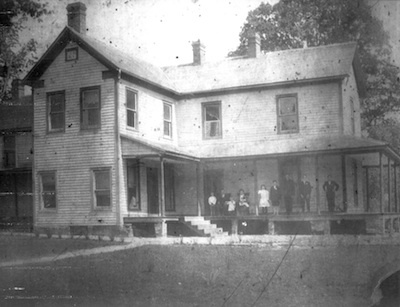 The Peter's family stands on the front porch of their Ringgold home in 1890. According to 1870 U.S. Census numbers, the population of the county decreased from 5,082 in 1860 to 4,409 in 1870. Of those residents, 616 were African-Americans. Many residents spent their Sundays at the county's 13 churches of various denominations. Almost 500 students attended area schools, and two were African-American. Thirty percent of the population, or 1,187 residents, could not write. Twenty percent, or 756, over the age of 10 could not read. Catoosa was home to 24 manufacturing establishments in 1870 that employed 50 residents and boasted 28,226 acres of improved land. The county's farmland was valued at $542,538. County government carried a $4,000 debt. After the war, Georgia leaders faced the task of meeting federal requirements for re-entry into the union. State legislators had to repeal the ordinance of secession and recognize the abolition of slavery. Legislators created a new constitution that largely reflected an elevated status of whites over the newly freed slaves. The state enacted laws that placed harsh restrictions to civil liberties for African-Americans, measures that aligned squarely with most other Southern states. On the national level, President Andrew Johnson fought with Congress to maintain his leadership role guiding reconstruction of the South, but he lost control in 1867 when Congress placed all of the Southern states except Tennessee under military rule. A return to the union became contingent upon each state's adoption of a constitution approved by Congress. The states were to provide basic civil rights and the right to vote for all residents under these new constitutions. Republicans in 1868 gained control of the Georgia Legislature, electing Rufus B. Bullock as governor and a number of African-American legislators. The legislature ratified the 14th Amendment extending citizenship to anyone born in the U.S. and providing equal protection under the law. Georgia rejoined the Union in 1870. The birth of the White Knights of the Ku Klux Klan played a part in helping bring Democrats back to power after expelling duly elected black legislators. In 1871, Bullock fled the state. Personal stories about this era are limited, but in a May 10, 1872 edition of the Weekly Catoosa Courier, some light is shed on the period. Catoosa Springs, the resort area from which the county draws its name, was operating again and attracting tourists from around the state according to an ad. Families could send their children to the Ringgold Masonic Literary Institute, one of the county's first organized schools, where “the curriculum is of the highest standard,” according to another ad. The staff included R.T. McMullen, principal; J.A. Robert, associate principal and Benjamin F. Clark, professor of music. 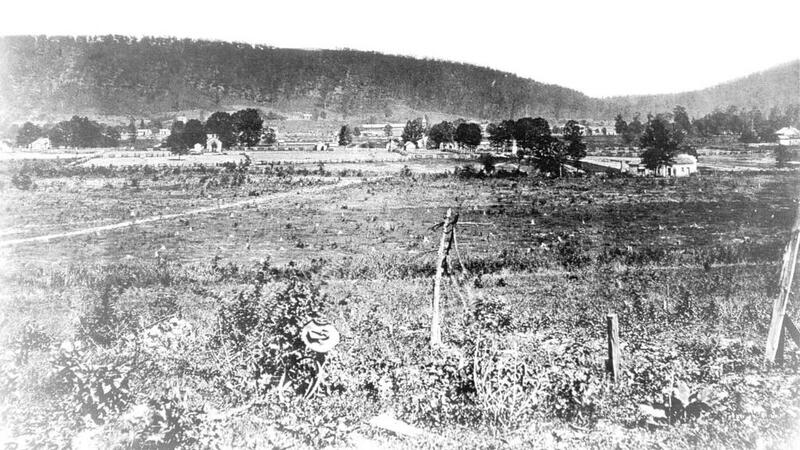 In Susie Blaylock McDaniel's “History of Catoosa County,” Jim Carlock remembers leaving West Chickamauga in 1869 to live at Peavine near Post Oak. “There I went to my first Sunday school,” he said. “One-Arm Jim Park was superintendent and I thought he was a good man. His oldest son, Heck, was one of my old chums. The old log house is gone. They built a new house and it burned down about the year 1883.